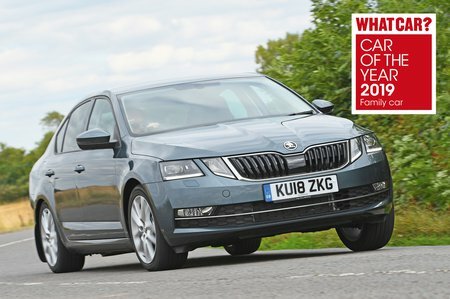 Skoda Octavia 1.6 TDI CR S 5dr DSG 2019 Review | What Car? What Car? will save you at least £1,771, but our approved dealers could save you even more. Even this entry-level trim comes with air conditioning, alloy wheels, an 8.0in touchscreen, SmartLink featuring Apple CarPlay and MirrorLink, Bluetooth, a DAB radio and a USB socket. There are a few key options you can’t be added to S, though, so we reckon it’s worth stepping up to SE. A good engine if value for money is a priority, because it’s super-economical. However, the five-speed gearbox makes it a little noisy on the motorway, it’s not the most muted engine when revved hard, and neither is it that quick.